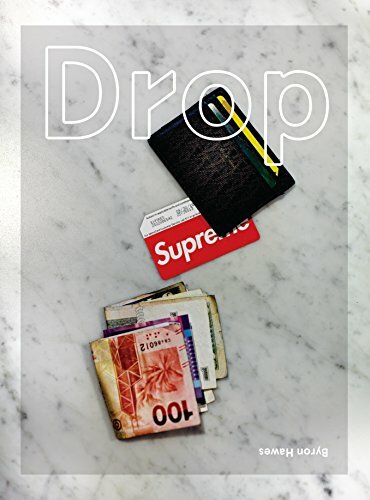 What these opening lines really don’t prepare the reader for is that Drop is a visual chronicle and diary making a very strong point about the state of fashion with respect to streetwear in today’s times. In essence, Byron Hawes and Lawrence Schlossman have done what the world of fashion seems to ignore and dare not speak so brazenly and to the point about, even going so far as to call it cultural appropriation. Despite the paucity of text, these men have called out the world of fashion and its inhabitants by “verbalizing” the truth about what has happened sociologically, cyclically, and an almost in a revelatory way when it comes to fashion. Anyone who understands that fashion has a past and present and realizes that sometimes the most commonplace can be turned into the trendiest fashion via hype, especially with the dollars to support the hype, will just adore the book for throwing shade on the business of fashion without directing their harsh realities at any designer in particular. This is not a statement of support or negativity but it does in its own way remind the well versed reader that regurgitated press releases and who wore what does not always make fashion fashionable and least of all original. The book is 95% image driven and focused primarily on the phenomenon of the brand Supreme with its meteoric rise to international recognition, fame, and desirability within the confines of the fashion world and for the trend driven of a fashionable new generation who possess a new way of seeing fashion. This fashionphile found the book to be refreshingly honest with no sugar coating at all. To say it in other words, you might take it as a blunt, bald-faced statement of WTF has happened to fashion in the 21st century.